WASHINGTON — NASA is preparing to release a solicitation for the commercial transportation of payloads to the lunar surface, the latest step in the agency’s efforts to help promote the development of commercial lunar landers. That solicitation, he said, is being informed by responses the agency received from an RFI it issued in early May. That RFI sought details from companies about their ability to deliver “instruments, experiments, or other payloads” through the next decade to support NASA’s science, exploration and technology development needs. The upcoming solicitation is the latest step in a long-running, but low-key, effort by NASA to support the development of commercial lunar transportation systems. In 2014, NASA awarded Space Act Agreements to three companies developing lunar landers under the Lunar Cargo Transportation and Landing by Soft Touchdown (CATALYST) program, providing in-kind support to their efforts. 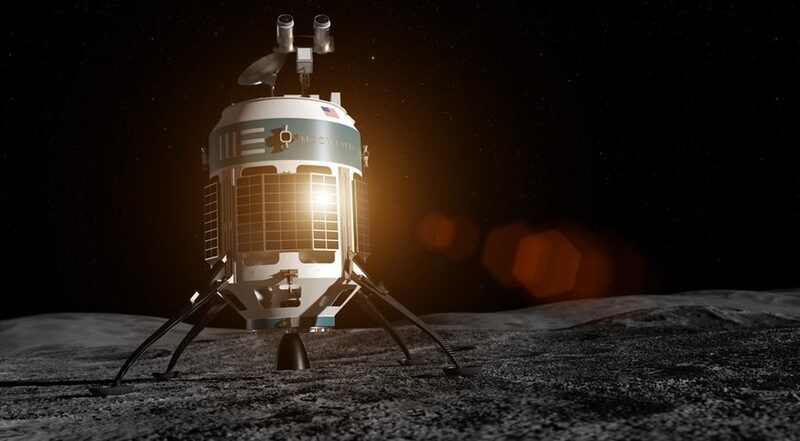 Two of those companies say they’re ready to start launching lunar lander missions, for NASA and other customers, as soon as next year. Bob Richards, founder and chief executive of Moon Express, said his company was now planning a 2018 launch of its first lunar lander, an MX-1E spacecraft. 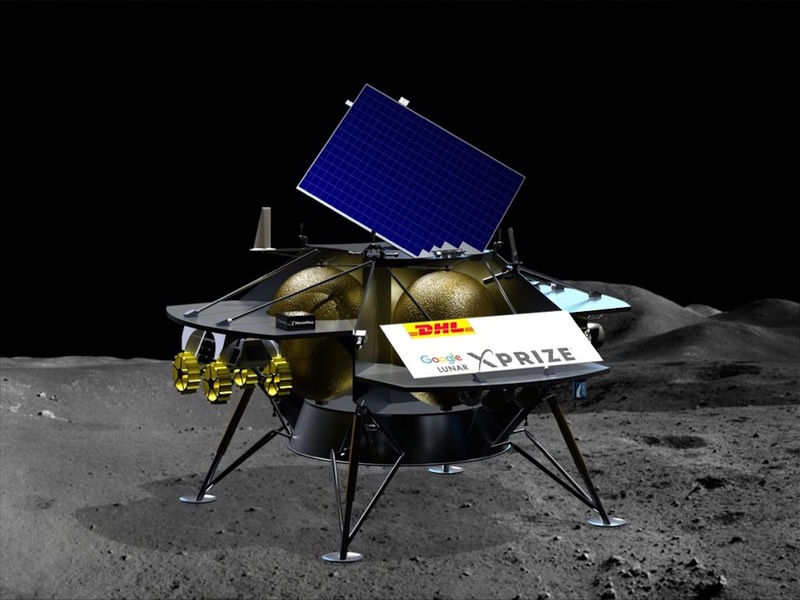 The company was previously planning a launch this year of that mission, but a recent change in the rules of the Google Lunar X Prize competition, of which Moon Express is a finalist, allows the company to launch early next year provided it completes its mission by the end of March 2018. That first mission, Richards said, will “deliver a diverse manifest of scientific and commercial payloads to the lunar surface.” The mission, he added, is fully booked, with future missions planned at the rate of one a year. John Thornton, chief executive of Astrobotic Technology, said his company’s Peregrine lander is set to make its first flight in 2019 as a secondary payload on a United Launch Alliance Atlas 5 mission. “Astrobotic is leading the world in lunar sales and market development,” he said, including 11 deals for payloads already signed and a sales pipeline that includes more than 115 potential customers. Both companies noted NASA support for their development. “Moon Express is honored to be partnered with NASA since the inception of our company,” Richard said, citing both the Lunar CATALYST award and earlier reimbursable Space Act Agreements with the Ames Research Center and Marshall Space Flight Center. Thornton said he was “encouraged” by NASA’s recent RFI calling for commercial lunar transport services, as well as language in a House appropriations bill providing $30 million in fiscal year 2018 for a small robotic lunar lander demonstration mission. “Now is the time for NASA to join our payload manifest,” he said. 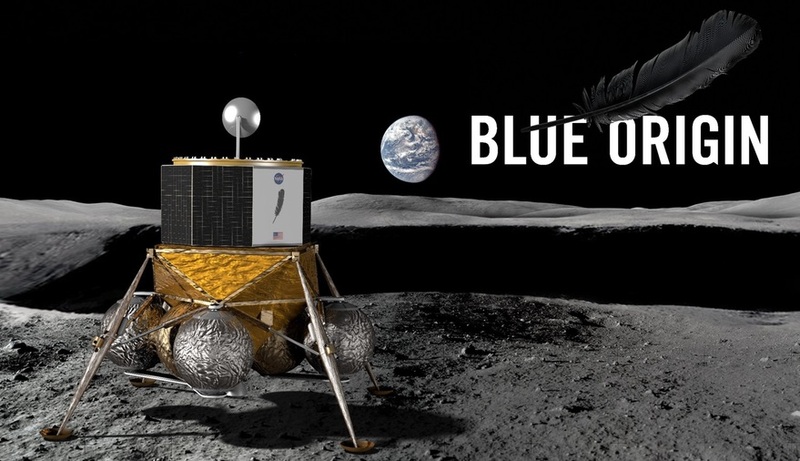 A third company at the hearing, Blue Origin, has its sights on larger lunar landers. The company’s Blue Moon concept, announced earlier this year, involves a system capable of landing up to several tons of cargo on the lunar surface. That vehicle would launch on NASA’s Space Launch System or other vehicles, including Blue Origin’s own New Glenn vehicle under development. Blue Origin has made “significant investments” in key technologies for Blue Moon said Brett Alexander, director of business development and strategy for the company, but suggested that development of the system be done as a partnership with NASA, similar to the agency’s commercial cargo and crew programs.